I didn’t even know the bride, but I was bridesmaid, and I had to be naked. And there was nothing private about the wedding. Gaaah! 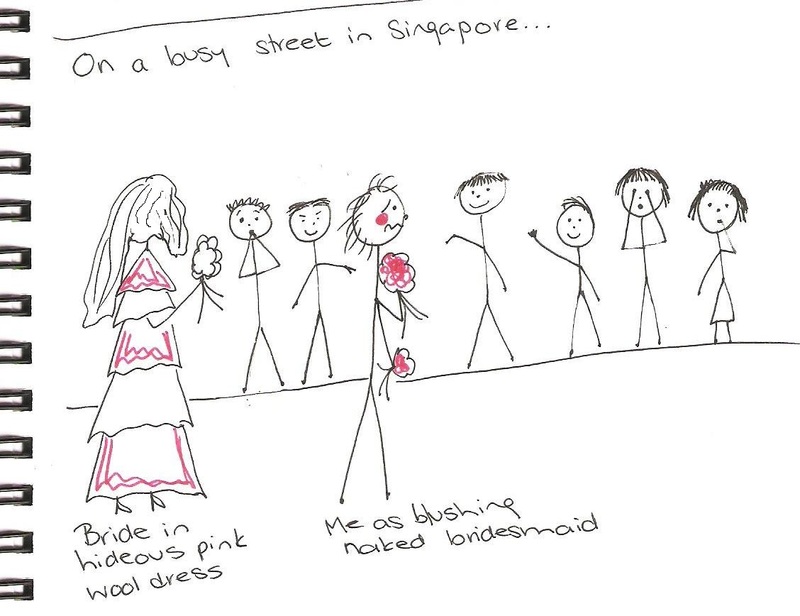 Posted in Wedding and tagged bridesmaid, dream, naked, Singapore, Wedding. Bookmark the permalink.